While in Istanbul, I became fascinated with the Bohemian crystal chandeliers that seem to adorn many palaces, hotels, restaurants, and homes. In the restaurant Pandeli, above the spice market, I spotted the first of many to be seen along my trip. 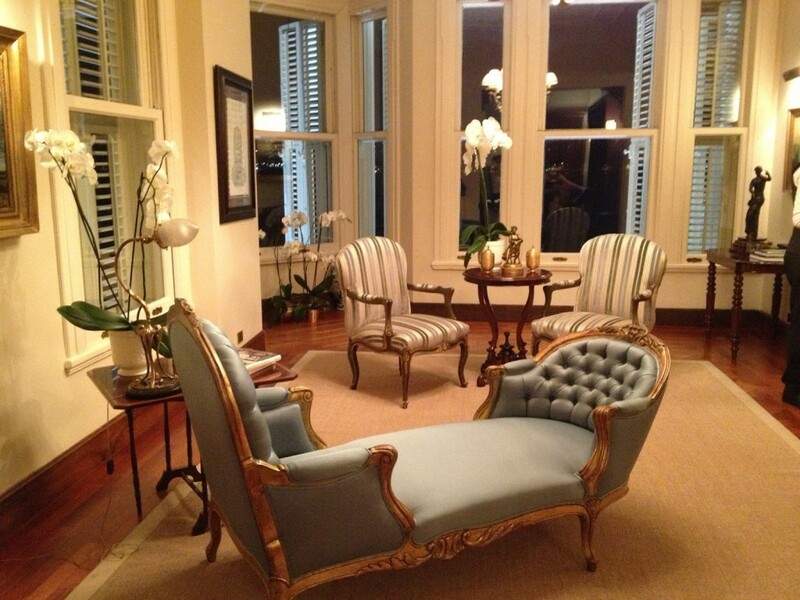 Notice the etched tulip-shaped glass globes. The tulip flower originated centuries ago in Persia and Turkey, and played a significant role in the art and culture of the time. 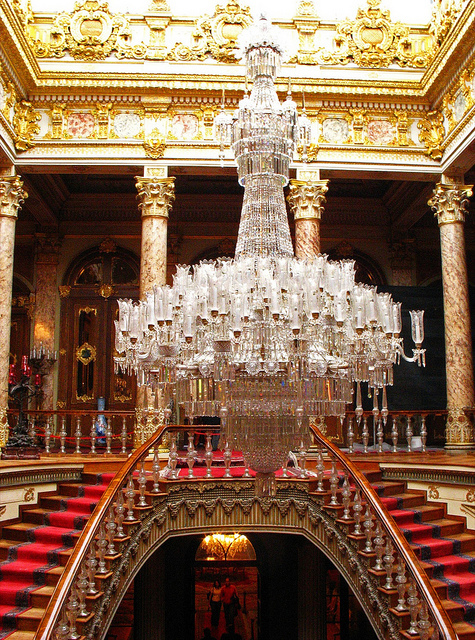 I had read that the world’s largest Bohemian crystal chandelier hangs in the great hall of the Dolmabahce Palace. The palace sits on the banks of the Bosphorus and was built between 1843 and 1856 by the Ottoman Empire’s 31st sultan. Western in its design, it is also where Mustafa Ataturk, founder and first president of the Republic of Turkey, spent his last days. 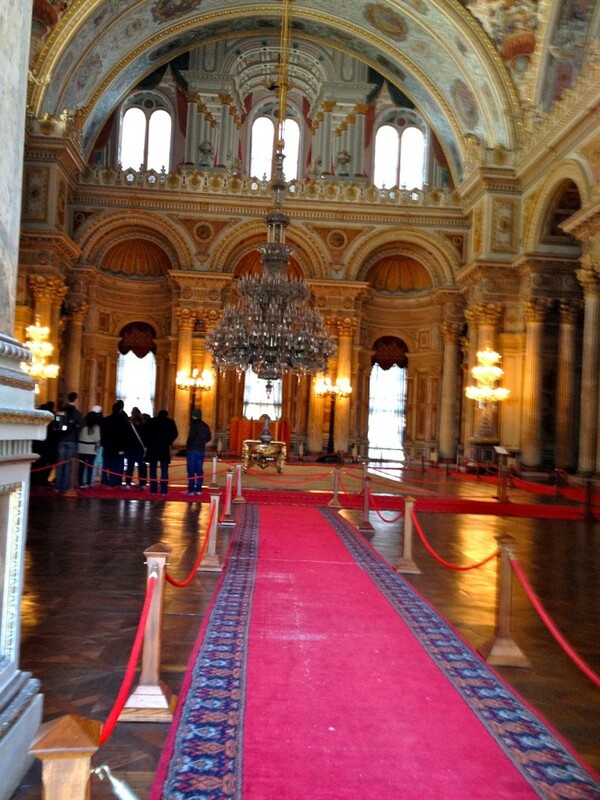 The chandelier in the Center Hall was a gift from Queen Victoria to Ataturk. 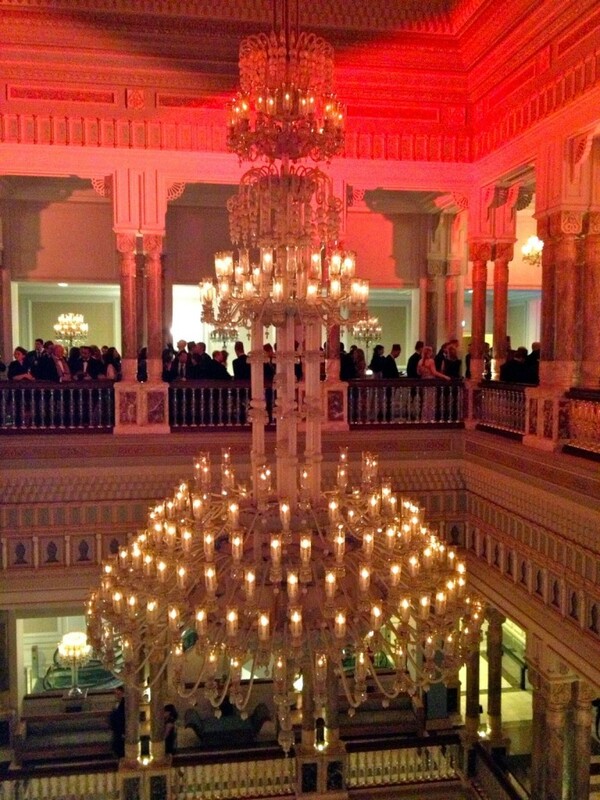 The palace also boasts the largest collection of Bohemian and Baccarat crystal chandeliers in the world. I had to go, but timing was tricky. The palace was not on our itinerary and the only free time we could carve out at the convention was a three hour spot before a panel of speakers that included Tony Blair, Gerhard Schroeder, and George Papandreou, a must see as well. Three hours should be enough, right? We jumped in a cab. 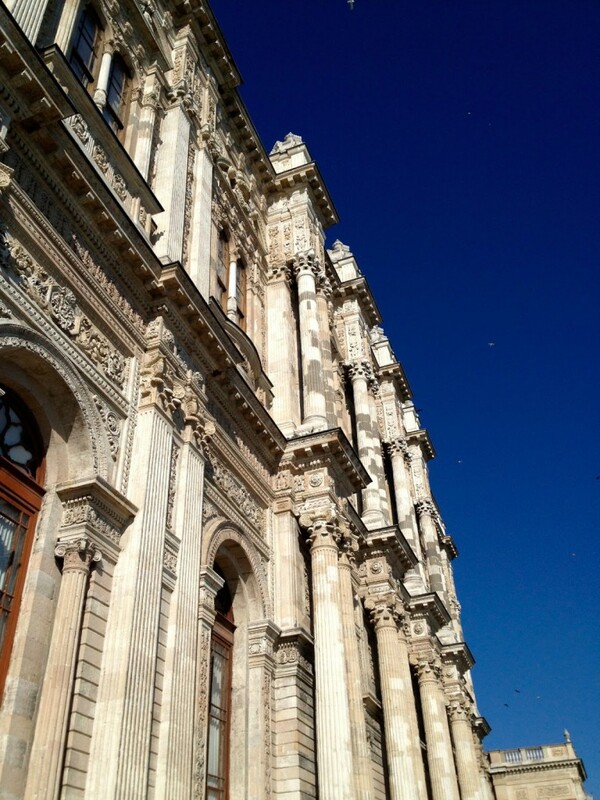 After an energetic exchange with the driver over the proper pronunciation of Dolmabahce (the language barrier overall in Turkey was very difficult), we were on our way. 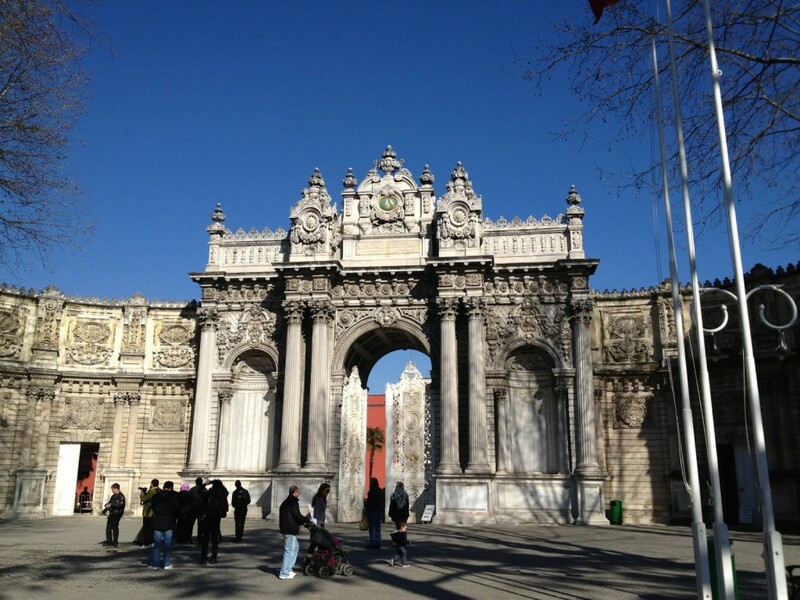 After having arrived at the palace, the grounds were stunning on the first sunny day we had in Istanbul. Buying tickets should be easy, right? 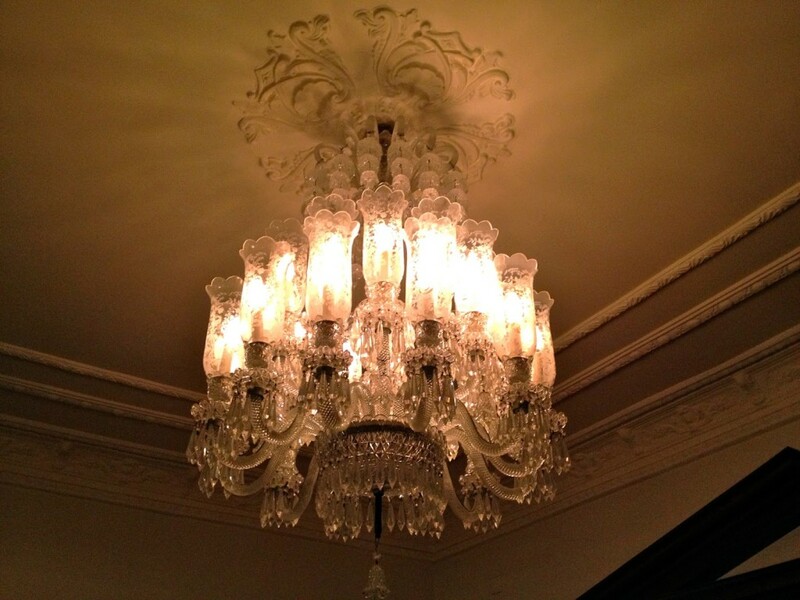 I only wanted to see the chandelier. But the salesman did not speak any English, so to avoid any further delay, I just bought a full price ticket ($40!!) and ran to the entrance of the palace. There was a long queue to enter, and after having waited some time, we came to find that you can only tour the palace with a tour guide, and the English tour didn’t start for 30 minutes, and would last 45 minutes. On top of that, photography is not permitted within the palace. Factoring in the time needed to take a cab back (and don’t get me started on what it took to find a cab back), we just didn’t have the time. I think I was just meant to return to Turkey another time. when I spied an open door into the palace. I ran in and caught this pic before being ushered out by a screaming guard. Good thing I couldn’t understand what he was saying. Not to be disappointed for long, I had the extraordinary opportunity to see some other worthy examples. The following two photos were taken in a palace attached to the fabulously grand Ciragan Palace Hotel during a lavish black tie party for 2,500 people. 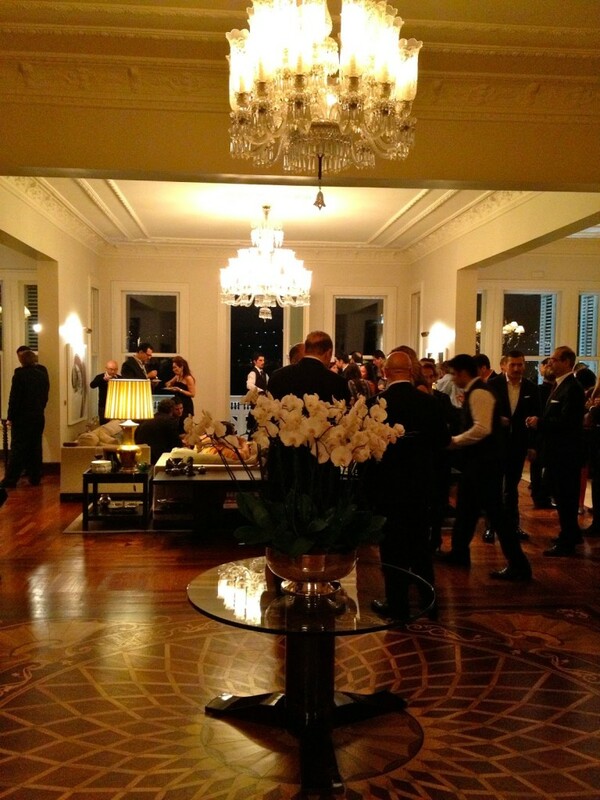 In addition, we were invited into the homes of some Istanbul locals for dinner. This incredibly chic home sits on the banks of the Bosphorus, and my only regret is not having seen it during the day. 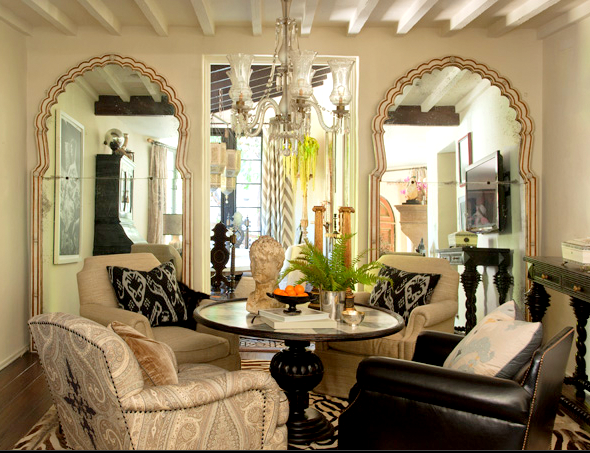 I recall that in my one of my favorite TV shows, Million Dollar Decorators, designer Martyn Lawrence Bullard redecorates his dining room with a Turkish-inspired chandelier. Here’s to wishing you a wonderful and bright start to your week! Hasta luegito. All photos taken by Marci Symington for texaztaste.blogspot.com, with the exception (alas!) 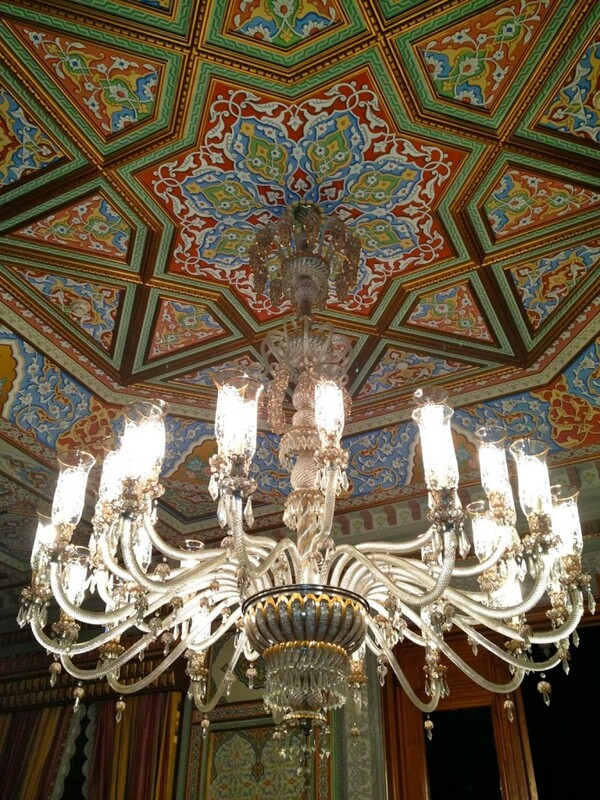 of the Dolmabahce Palace chandelier, found at noordinaryhomes.com and the photo from Elle Decor of the home of Martyn Lawrence Bullard. 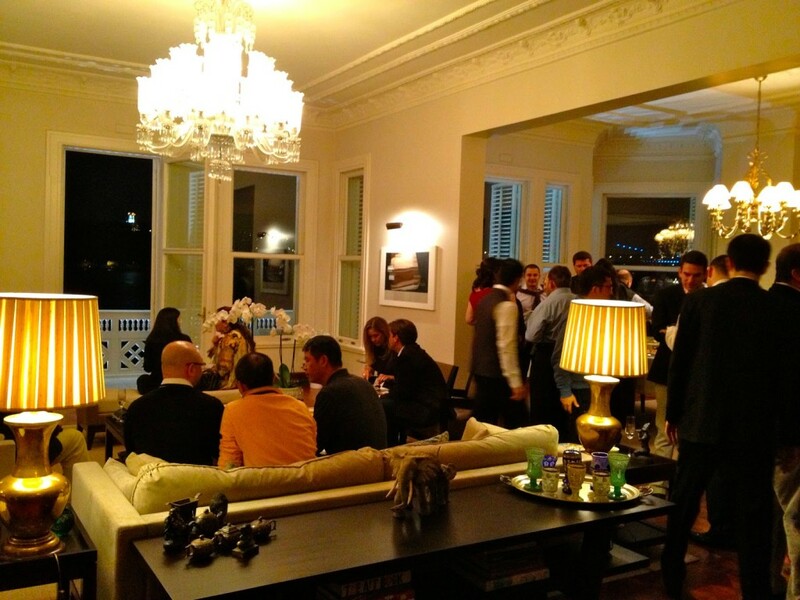 Many thanks to our gracious hosts, Tulu and Kaan Terzioglu, and for welcoming us into their spectacular home.